/ How PMP Bootcamp Save More $$ Than An Online Training? 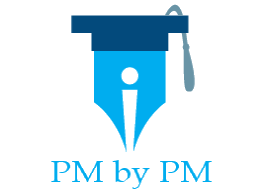 In this post I will talk about the major advantages of a PMP Bootcamp for the certification exam prep, why it is beneficial over an online training course for gaining 35 contact hours of project management education, and how exorbitant cost of a bootcamp is inconsequential in the long run. PMP Bootcamp is another name for regular classroom training program. These programs typically run for 4 or 5 days. A 4-day bootcamp is usually held over 2 consecutive weekends whereas a 5-day program is held on weekdays or a combination of weekdays & weekends. You should read about the reviews before enrolling into such a training program. Traditionally the bootcamps were the first choice for the PMP exam aspirants. But over last few years, self-paced online courses and instructor-led virtual classes have become very popular. There are two main reasons for their popularity. Firstly, they are much cheaper and secondly, they offer a lot of schedule flexibility. However, for many professionals, these might not be the valid reasons to invest in an online program. Some of us need constant motivation and require a proper fixed study schedule to pass the exam and hence flexibility becomes a bane rather than an advantage. Let’s look at the most important reason why most professionals choose to forgo a bootcamp – cost. There is no denying the fact that the classroom programs are the most expensive among all forms of the training. The cost such a training can range from $200-2500 depending on your geography, and the credibility & experience of the trainer. If you are living in South Asia, a classroom training course would cost less than a good online training course. But in most other countries a classroom training costs north of $1500. That is a lot of money for the most professionals. But in the long run a classroom training pays for itself. Let me show you how. Why A PMP Classroom Training Is Not Costly? Before you read any further, you should read my previous post on cost-benefit analysis of PMP certification. This post provides empirical evidence for the benefits of doing PMP as early as possible. It makes a case for how the credential increases your earning power. The longer you delay the certification, the more money you are likely to lose in terms of potential increase in salary. Numerous studies prove that a classroom training is best for the learning. A bootcamp provides high focused environment for studying. Due to these advantages you can take the exam within 2-3 weeks of finishing the training. On the other hand, if you attend an online program, you may need anywhere from 3 to 6 months to take the exam. My experience suggests that (although I do not have any statistical data to prove it) passing rate of professionals attending a bootcamp is much higher than an online program. The earlier you get the certification, the better your chances are for getting a higher salary. In essence, you will save money by attending a PMP bootcamp. My experience and empirical data suggests that classroom courses prove to be less costly in the long run. But, some of you may still want to pursue an online course due to initial cost constraints. If you are looking for such a course then you can read articles on self-learning courses and virtual classroom courses for my recommendations. However, if you can manage the initial investment then I would suggest you to go for a PMP bootcamp. What is your take on PMP certification bootcamps? Do the benefits outweigh the cost involved? Which form of training do you intend to undertake and why?